Harvested Oil Palm fruit and nuts (Elaeis guineensis Jacq.). 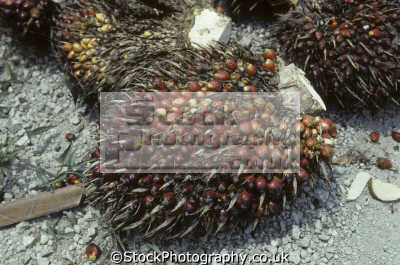 (Jacquin) AKA African oil palm. British North Borneo.